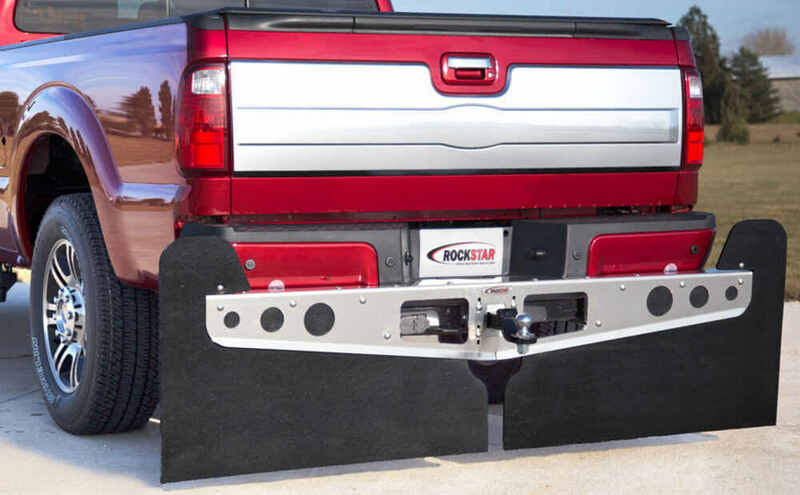 These mud flaps are extra-long so that you can trim them if necessary to achieve the right clearance for your lifted or lowered Ford F-150. Rockstar mud flaps just look cool on your truck. The smooth, shiny finish gives your Ford F-150 a stylish look, and the frame hugs your bumper tightly for a from-the-factory fit. And rounded top corners on both mud flaps offer a sleek appearance. 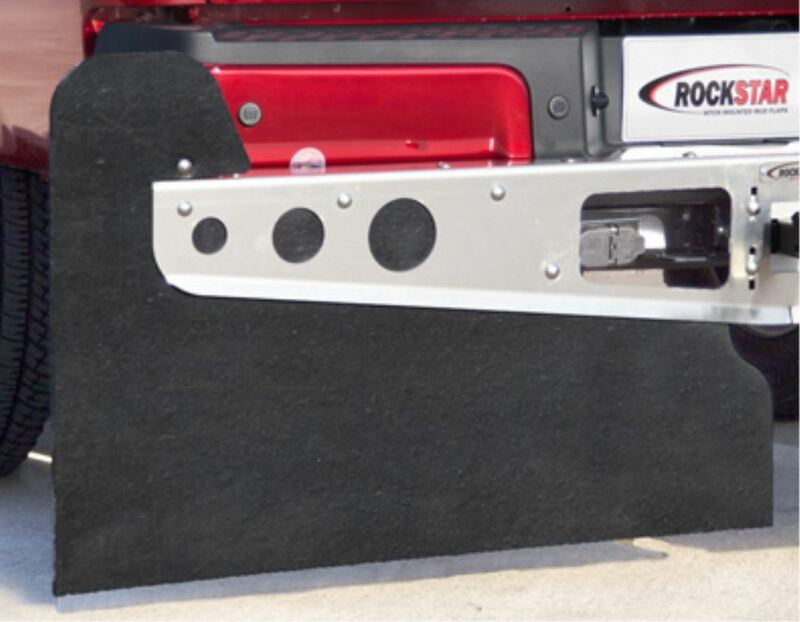 You can install the mud flaps in a few simple steps. First, attach the included 2" x 2" ball mount clamp to the back of the custom frame using the included hardware. Slide your ball mount into the frame, and tighten the frame clamp loosely around the ball mount shank. Next, insert the ball mount into your hitch and secure it with a pin and clip. Adjust the frame until it sits level and plumb on your bumper. Adhesive discs (included) protect your Ford F-150 from scratches where the frame comes in contact with the bumper. Finally, secure the frame to your ball mount by tighening the clamp with a torque wrench.